6 Natural Ways to Cure Insomnia! We all are very familiar to us staring at our ceiling, or scrolling through our phones, or even counting sheep when we can’t fall asleep. Insomnia is, by all means, a living nightmare for everyone! Insomnia can be a temporary or even long term. It is most often the result of stresses, or a change in routine, or change in medications, or it could even be because of anxiety and depression. Either way, lacking sleep can make you exhausted, irritated, and also it can affect how your body functions. Medication can always solve insomniac problems, but here a few natural remedies you can try, just to stay away from some addictive pharmaceuticals. 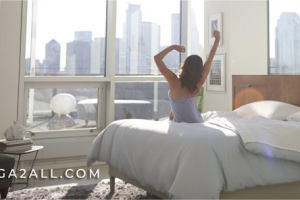 Exercise plays a very crucial role in sleeping well and cure insomnia. There are so many studies that show that people who exercise regularly sleep way better than people who don’t, especially people who suffer from insomnia. Experts usually suggest having your exercise routine set to work out in the morning so that it also regulates the secretion hormone which helps to manage your blood pressure and helps you sleep better. Exercise enables you to relax and reduce the feeling of anxiety and depression which leads to sleeping better as well. It might be a little surprising, but the foods that you eat also have an effect on your sleep. To help you fight insomnia, it is a good thing if you add foods like cheese, almonds, salmon, milk, cherries, and whole grain items in your dinner because these foods are nourishing and can make you feel drowsy and relaxed. A few things to avoid at night and to cure insomnia are coffee, alcohol, spicy foods, fatty foods, and sweets. – Make sure that you turn off all electronic devices when you sleep. This is because the light from your phone or laptop can make your brain feel revved up rather than feeling sleepy. – Try to take a warm shower at night before you go to bed. It relaxes your whole body and makes you sleepy. – You can have a lavender spray or a lavender-scented aromatherapy candle in your room to help you relax. – Make sure your bed and your pillow are comfortable enough to make you relax. – Try to have as dark and noise free room as possible. Chamomile tea is used as a relaxing agent since ages that is good to cure insomnia. It is not just very easy and simple to make, but it actually works! It has mild sedative, which helps to calm your nerves and reduce your anxiety which results in easing insomnia. Some people even use two to three teabags, depending on how strong they want the tea. Melatonin is a hormone that regulates your sleep. Increasing the intake of melatonin can give you sleep inducing benefit, and fix your sleep routine. There are many foods like cherries, corn, asparagus, tomatoes, broccoli, grapes, cucumber, rice, barley, walnuts, peanuts, and even sunflower seeds that help you increase melatonin in your body. To be on the safe side, preferably with your doctor before starting on melatonin enriched foods. CBD Oils has the ability to make you relax and take away all the anxiety, depression, chronic pains, and stresses which can cause insomnia. CBD oils increase an overall sleep quality and reduce and cure insomnia. Here is a link for further assistance. This article was written by Joseph Martin who regularly shares advice on our physical health. In particular, natural remedies and therapies for aches, anxiety and every day induced stress. You can find more about him on Mellow By Design. Next Article What Dermatologists Say About Your Healthy Nails? How Meditation Helps You Beat Insomnia and Sleep Better? 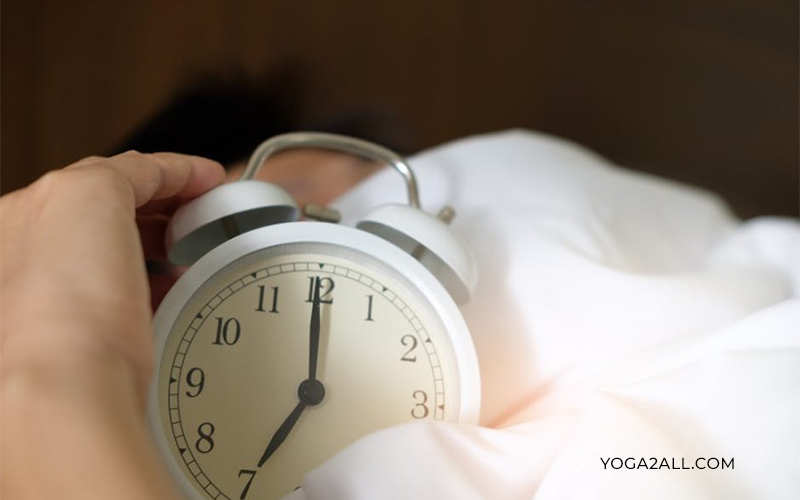 How to Stop Sleep Disorders With Yoga?